What makes a submission pop for you? I want something done in a way I haven’t seen before. We get hundreds and hundreds of submissions bi-annually (during our last submissions period, we topped out at over 700) and we take roughly 35-40 pieces per issue. That acceptance rate isn’t great, I know (6%), but what sticks out to me is someone taking a chance with either (1) plot or (2) characters or (3) language. I would take a clichéd premise and clichéd characters (and have) in a heartbeat if the language was fresh. I would take something new, something I haven’t seen before story-wise, even if the writing wasn’t inventive, if the characters were real and showing me something, making me feel something. I’m also, personally, obsessed with learning about snippets of people’s lives, odd bits of history, forests, little factoids that just make a story explode with wonder. Above all, I want heart: If you’re writing a story we’ve seen before, but you trust yourself—that will shine through. We will, inevitably, get multiple stories per submission cycle about similar ideas/themes. It’s the ones that are telling us something new or in a novel a way or who stick the landing, just really go for it, that I need to publish. I do not care about length: if it’s done well in 500 words, if it’s something I can’t stop thinking about, I want it. It goes both ways, to be honest. I love when I take a piece that needs very little work on our end, but if a piece needs a little polishing, that would never preclude me from taking it. There have been countless times where we’ve accepted a piece conditionally, that a line or paragraph is cut or moved, that more is added, etc. The difference is, though, that these are still editorial decisions, nothing that fundamentally changes the story. I wouldn’t ever take a piece that needs major revision (think: the entire story needs to be plotted differently, re-done in some way, etc. ), as, quite frankly, we just don’t have the time for that. However, we do propose changes for every piece (many are small, sure) and we work with the authors to make sure they’re okay with them. I love it when an author fights back about a change—it may not ultimately go their way, but that fighting spirit, that passion, is what I love to see in the literary world and really energizes me. What it comes down to, though—and there’s always, always a big ole asterisk next to anything I say—is if I love a piece, if I want it, there’s a deal to be worked out. Length is a big consideration. I do love longform fiction, but I think it’s a real talent to be able to sustain a reader for 10K+ words. Something I see often is that a piece—let’s say it’s 5K words—would be tremendously stronger, more vibrant and memorable, at 2,500 words. It’s a very difficult skill to master, what to leave out, how not to shoot past the “true” ending of the piece, but it’s something I look for: has this piece worn out its welcome? Have we already gotten there and blown past it? Beyond that, again, I look for freshness: I want to see something, craft or plot or structure, I haven’t seen before. Last, I look for diversity, not only in writers, but writing content—it’s critically important to me as a publisher, as a writer and editor and a white, cis male, to use my position and my leverage to give divergent voices a platform however I can. The creed of Midwestern Gothic is to highlight the Midwestern United States, to see, through varying viewpoints, how people see it, to ask “What is this place?”—so it’s essential that I read and publish and celebrate voices and writing and writers from every single facet of life, from every single background, stories that show more than the expected, that go above the “traditional” and show me more more more. That is my duty, my privilege. First: not following directions. We (like all editors, at all publications) take so much time and care crafting our submission requirements; when a writer ignores these, or doesn’t take the time to read them, it is frustrating. 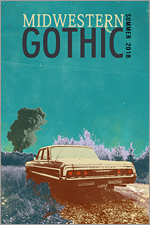 There is a difference—and I can tell—between someone making an honest mistake (emailing us submissions vs. uploading via Submittable), but when someone doesn’t take the time to read that the Gothic in our title (think: Southern Gothic) is not referring to Gothic horror, I do get offended. I don’t expect everyone to know the term, but I do hope that people will take time to read what we’re about. To know who they are submitting to. That shows care and passion, and that’s important to us, since we are forging long, long relationships with contributors. Next: rudeness. It doesn’t happen often, but when we reject a piece for publication, and the person responds with a nasty or rude note, I truly can’t comprehend what they are expecting. For us, we do this with no financial backing of any kind other than our own. We employ a lot of volunteers who do this for no other reason than they love it. Rejection is a major part of writing, and I get that emotions can run high, but there is, not ever, a reason to lash out at editors because you’re unhappy with the result of your submission. As cliché as it may be: persevere! It’s terrifying when you first start submitting, the prospect of people judging your work, reading your work, deciding if you’ll be published. The thing to hold onto is: you created a work, you created a story or a poem, something, from scratch, from your mind. It’s a beautiful thing. Terrifying, yes, to ask someone else to do something with it, but you have all the power as a writer, and it’s important to remember that. It’s also important to remember that rejections will happen incessantly, at all stages of your career. You will have bad weeks, months, and years. You will have good weeks, months, and years. When you’re starting out, find writers you love and admire, find journals publishing work you are enamored with—find the places you’d be honored to be published in. For most journals, it doesn’t matter if you have no publications. Pick places you want to be, not places you think you’ll get into. One of the best things I did when I started trying to get my work published was go to authors’ websites and look at their publications, read everything, and find the journals doing exciting things—that excited me. Cannot recommend that enough. There will always be a journal to publish you, but make sure you’re excited about it. It’s okay for you to hold off until you find a place that makes your heart soar. It’s okay to remember how much power you wield as a writer. 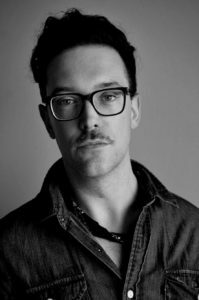 Bio: Robert James Russell is the author of the novellas Mesilla (Dock Street Press) and Sea of Trees (Winter Goose Publishing), and the chapbook Don’t Ask Me to Spell It Out (WhiskeyPaper Press). He is a founding editor of the literary journals Midwestern Gothic and CHEAP POP. You can find him online at robertjamesrussell.com and on Twitter at @robhollywood.